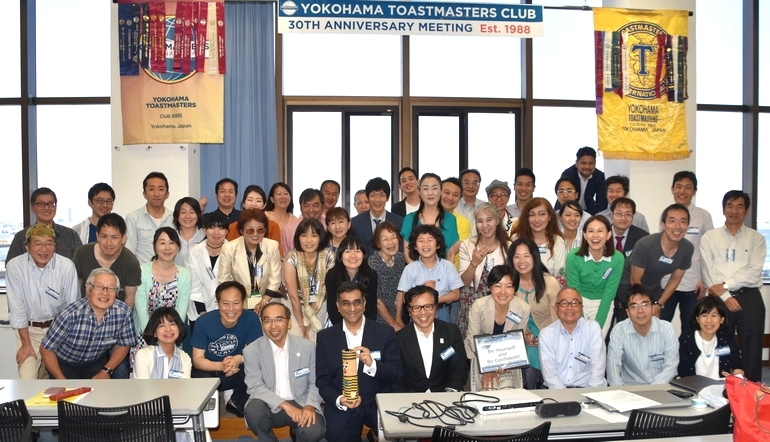 Twenty members of Yokohama Toastmasters Club attended the 676th regular meeting on autumn weekend that warmed up after a long time. 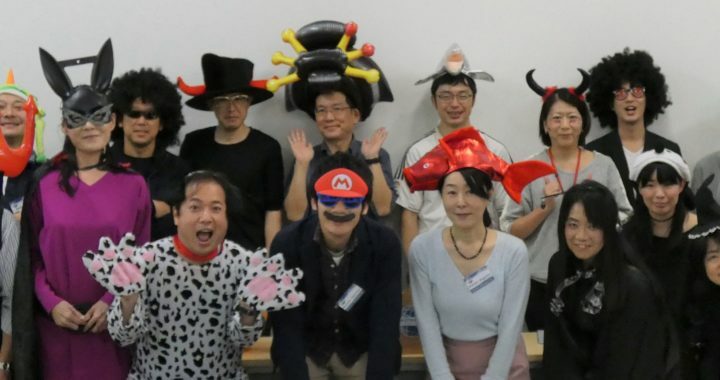 The theme of the meeting was “Autumn”. 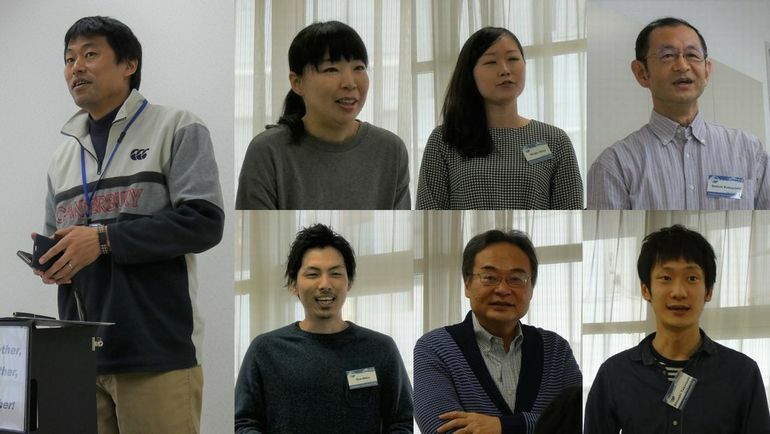 The meeting was started introducing each member’s speaking of autumn. TM S introduced “bustle” and “bustling” as a word of the day at the beginning of the meeting. It is one of our pleasures to get new words and vocabulary each meeting. 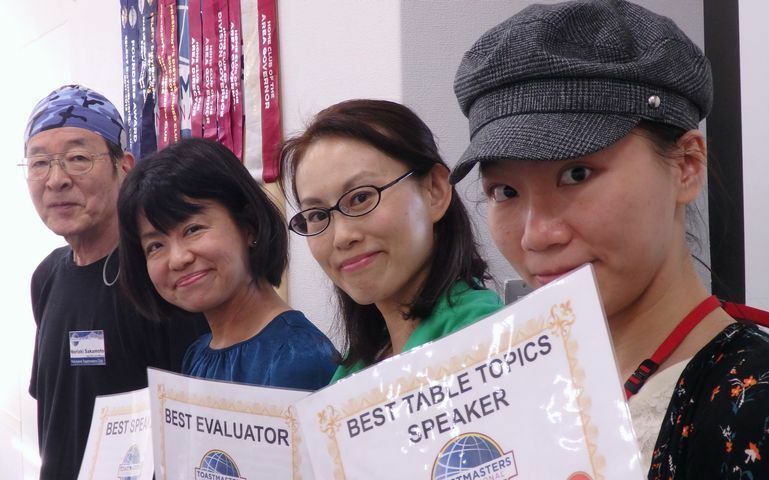 First session was impromptu speech session that we call “Table topics”. TM K hosted this session. The members were curious about who answered and how answered this question. The veteran English teacher TM N closed off this session with “Repetition of practice is the most important” as an answer. The meeting moved on to the second session, preparatory speech session. Four members presented speeches with interesting tastes. 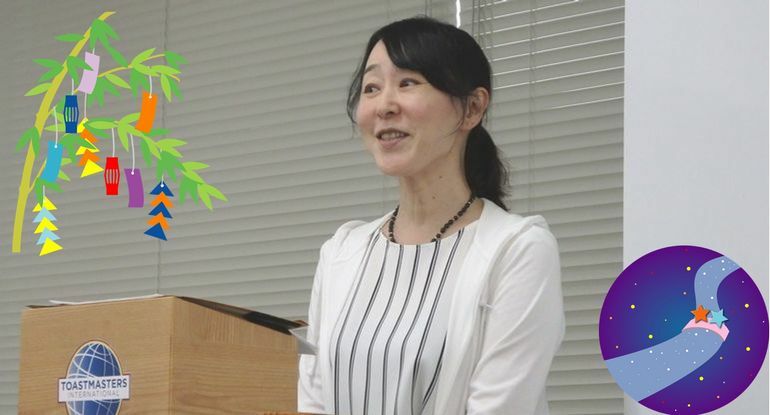 TM N introduced her own coined word “Official Pleasure” against “Guilty Pleasure”. 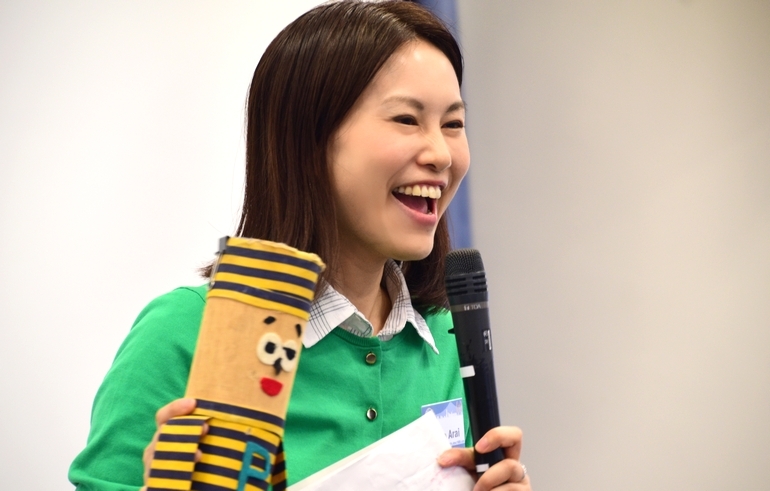 Her very Japanese idea invited the laughter of the members. 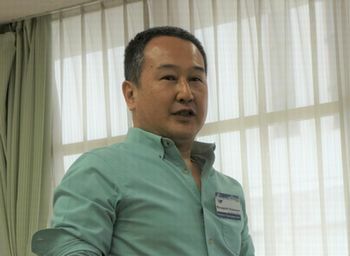 TM F’s speech title “Do not expect anything!” was hard, but it was a speech that conveyed tips to send happy daily life. 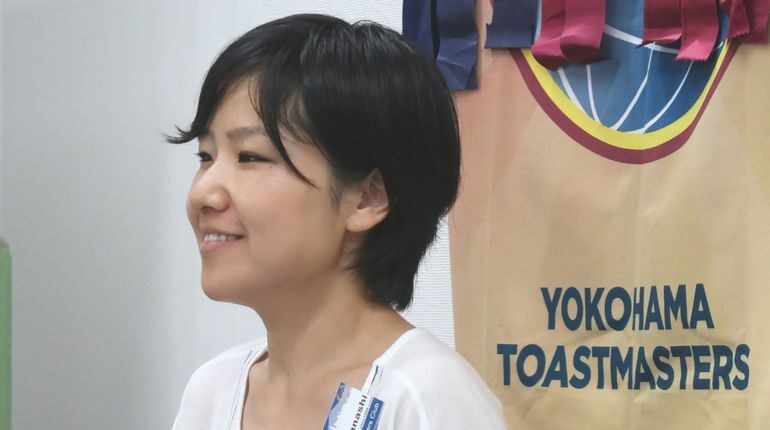 TM S humorously talked about the episode of Toastmasters before joining. 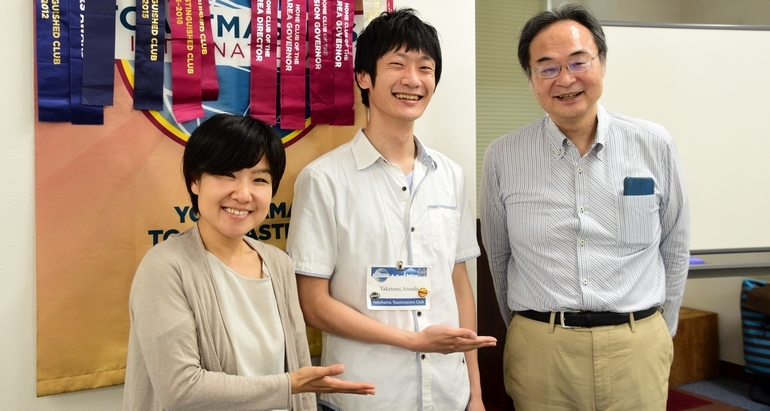 TM S worried that Toastmasters was a cult group before joining. The venue was surrounded by big laugh. TM T demonstrated a wonderful business presentation which title was “Does convenience grow people?”. He used statistics, figures and graphs effectively in his slides. The third session was the evaluation session. 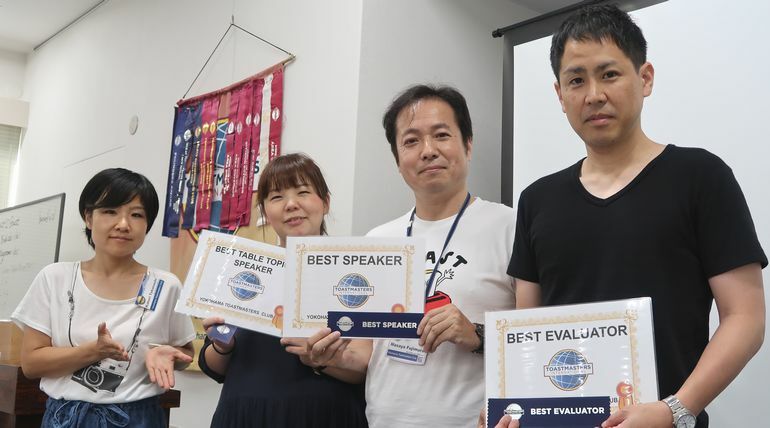 Four evaluators commented on the speeches on 4 speakers. 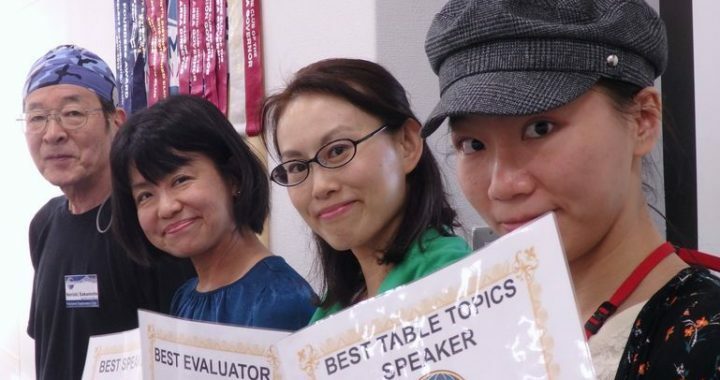 Evaluators require an ability to make motivative and useful suggestion to speakers to improve their next speeches in a short time. By being evaluators, communication skills which used in business are trained. 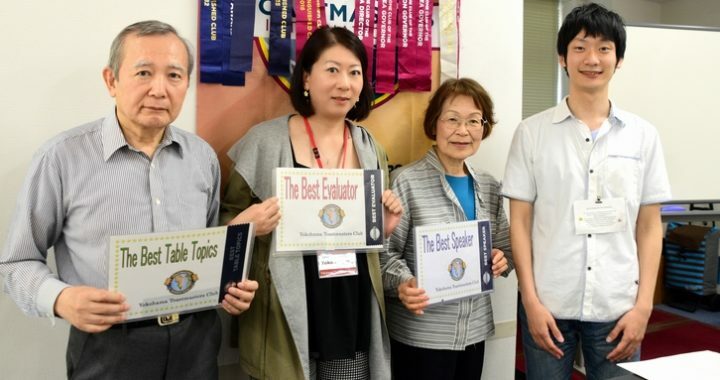 All the speakers who received advice from each evaluators seemed satisfied. So, this session was a great success. 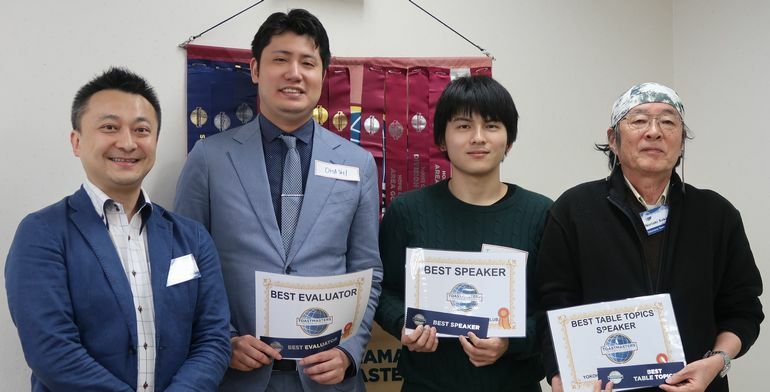 As a result of the member’s vote, Best Table Topic Speaker was TM T, Best Prepared Speaker was TM S, Best Evaluator was TM N. Newcomer TM N was the first time as a evaluator, but he received the best evaluator award. 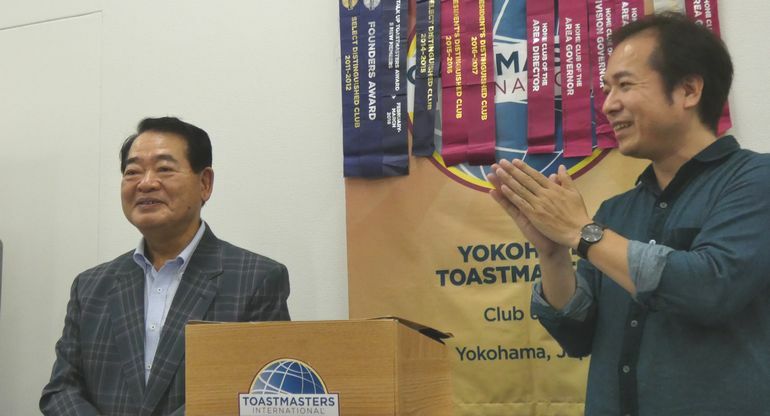 I felt TM N’s extraordinary skill and I was looking forward to his future success as a Toastmaster. At the end of the meeting, Mr. T’s induction ceremony was held. 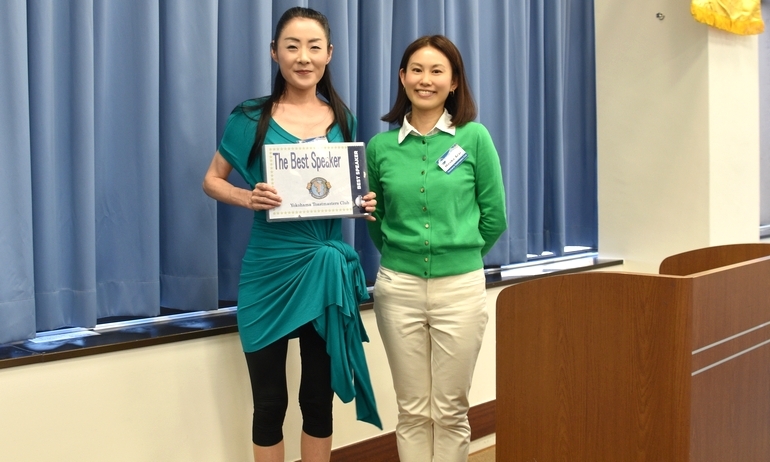 TM T, Welcome to Yokohama Toastmasters. All members are welcome. 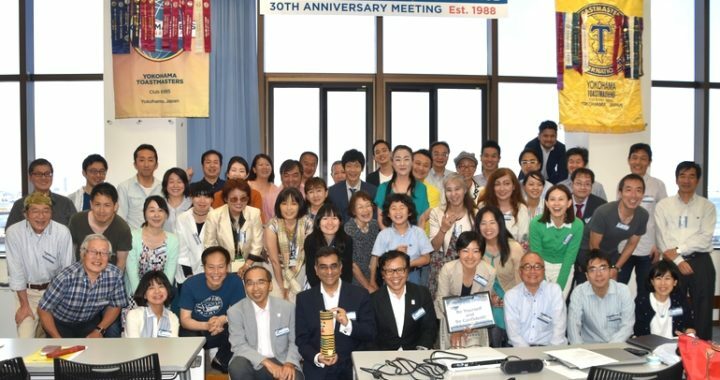 This meeting was my second times as a TMOD(Toastmaster of the Day). 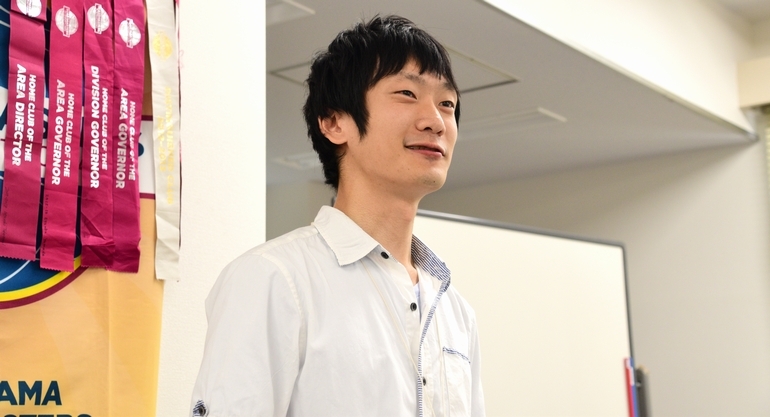 But thanks to the cooperation of the members, I was able to do well with a lot of fun. Thank you. 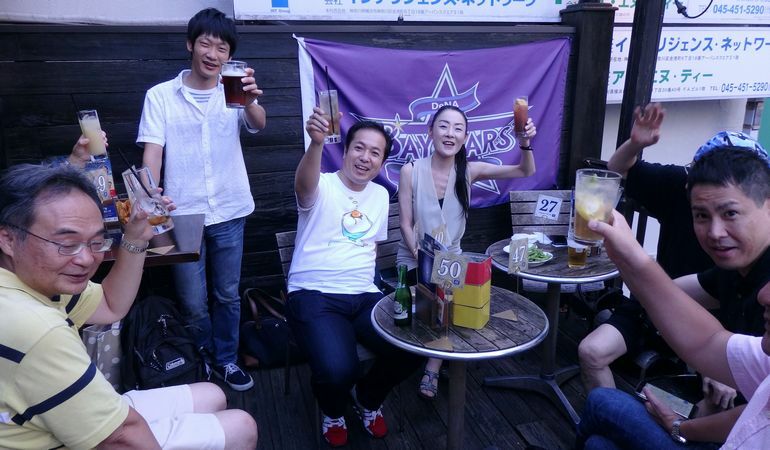 After finishing this big role, I drank delicious beer with wonderful members. 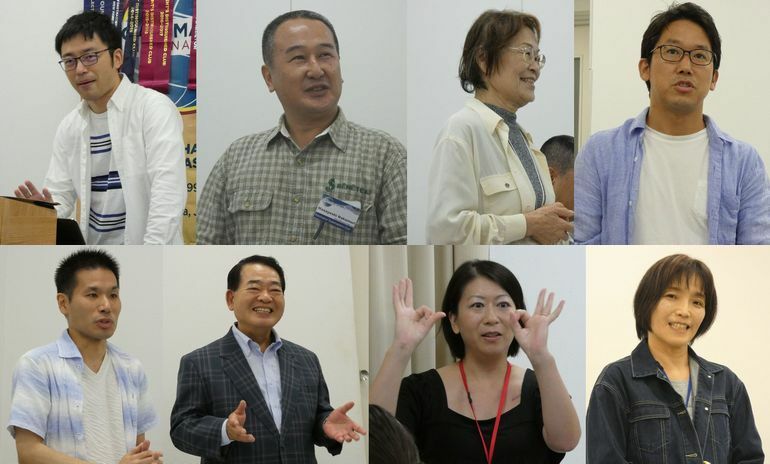 The 673th regular meeting was held at Hatoba-Kaikan on August 18th (Saturday). Twenty plus members attended the meeting in spite of recent hot summer days. As a new trial, the intermission was extended to be 15 minutes so that the members can communicate and talk more closely each other. Also, Table Topic Session was extended to be 35 minutes to enhance the impromptu speech capability of members. TM O announced that today’s Word of the Day is “Absolutely, positively”. 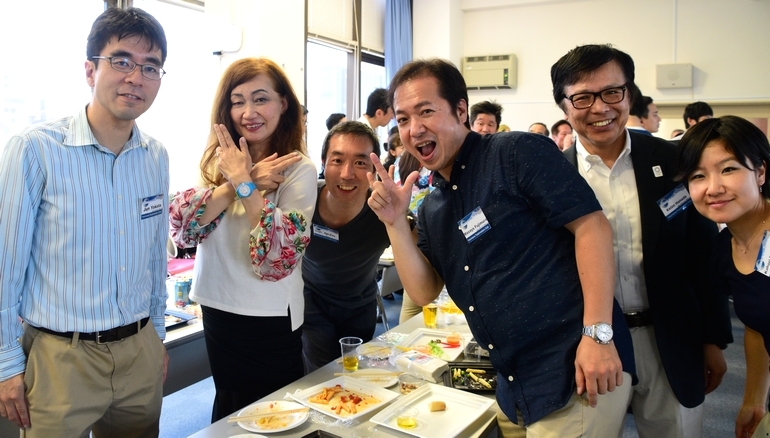 The theme of the meeting was “Hot summer days” and the related question was “What is your favorite or secret food to survive in such a hot summer day like this year?” After each role taker explained his/her respective role, Table Topic Session started which was two times longer than the usual one. TM K asked 11 interesting questions which were related to the quarterly events or news that happened in this year. Since it was more probable for each member to be appointed the question, many members were a little bit more nervous than the usual meeting. 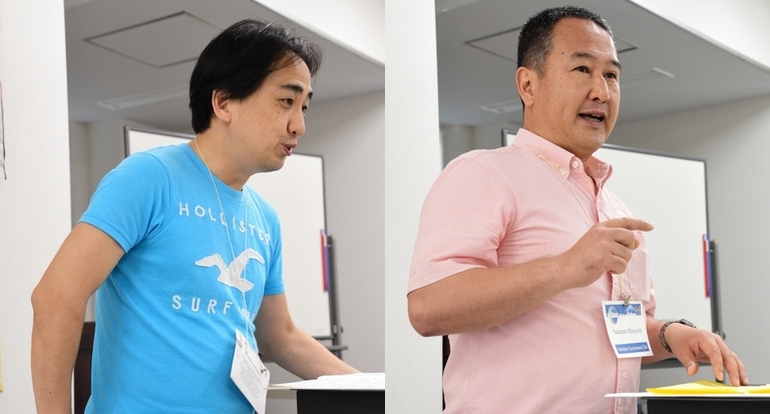 In the prepared speech session, there were three speeches based on Pathways and one speech based on Advanced Manual. Total 4 members made their speeches. 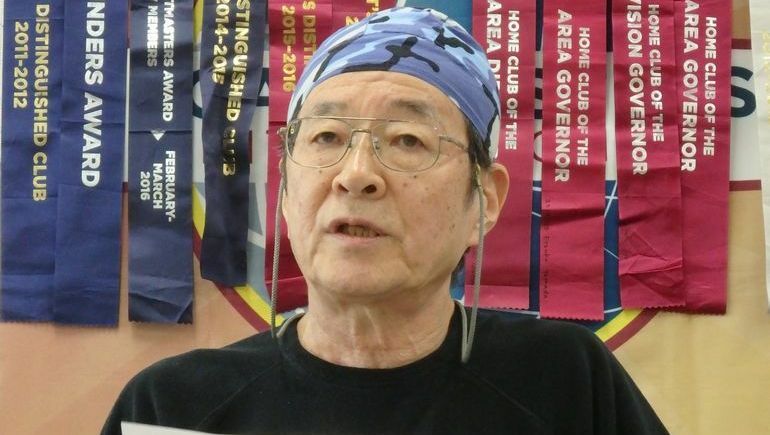 TM O’s speech was “What did change my son?”, TM N’s speech was “My passion for the sailing”, TM H’s speech was “The last something of Heisei era” and TM I’s speech was “The Milestone in My Life, respectively. 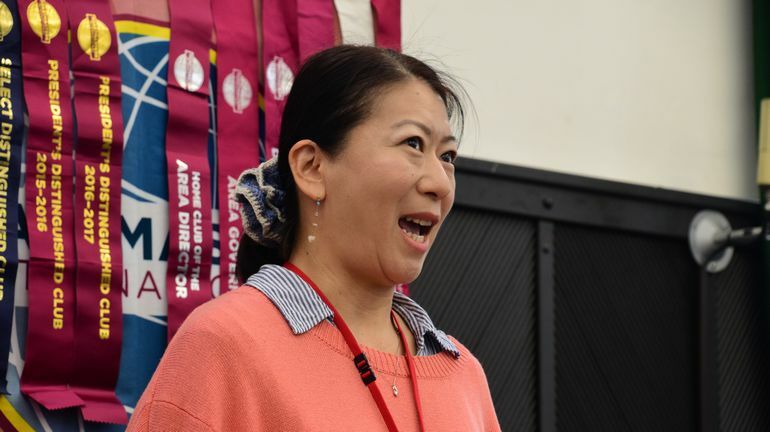 All the speeches were based on speakers’ own experiences and personal events. They were very educational and interesting to listen. At the Evaluation Session, TM T was the General Evaluator and four members made the precise evaluations from their own perspectives. Especially, TM K made a good evaluation in spite of that this was his first evaluation role and that the target speech was second speech of Pathways project #2. TM T made a model General Evaluation, covering every steps of the regular meeting, stating from the meeting preparation through the end of the meeting. In the business session, President F announced that the Joint Christmas Meeting and Party of Area 52 will be held on December 22nd (Saturday). It has been a while for me to conduct TMOD role, but, thanks to all the members’ help and support, I enjoyed conducting the meeting. Thank you all. I am a little concerned that the number of guest is declining these days. Let’s try to talk to our friends and colleagues to come and join our club.